Join us as we work on knitting projects for our global mission partners. 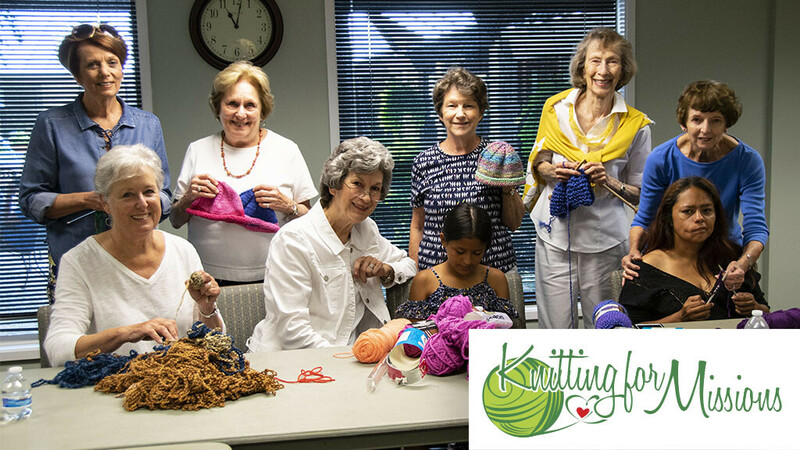 This welcoming group of women is excited about reaching as many people as possible – both through their knitting, and through fellowship as a group. Come with enthusiasm and an eagerness for knitting with a purpose! Yarn, needles, and patterns will be available, or you may bring your own. If you can’t knit with us on Monday mornings, please contact Sue to talk about projects you can work on at home.